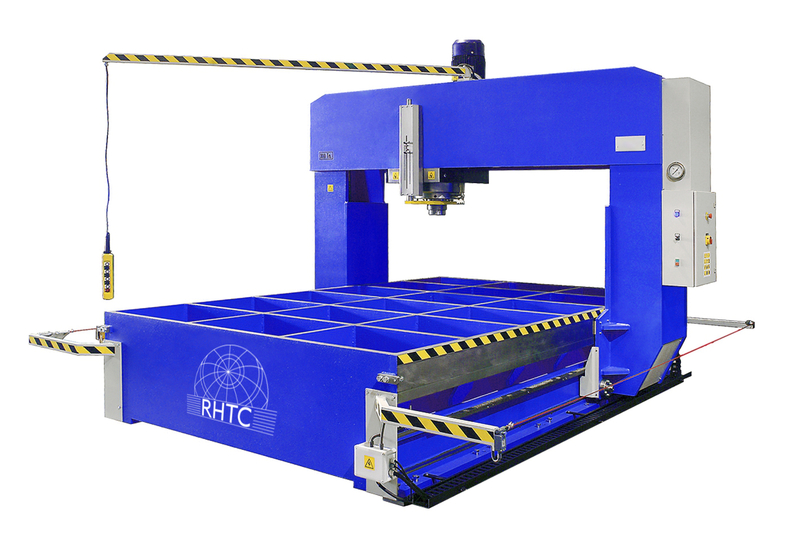 This 150 ton hydraulic portal press from RHTC is eminently suitable for the straightening of electro welded structures and flame cut sheets. 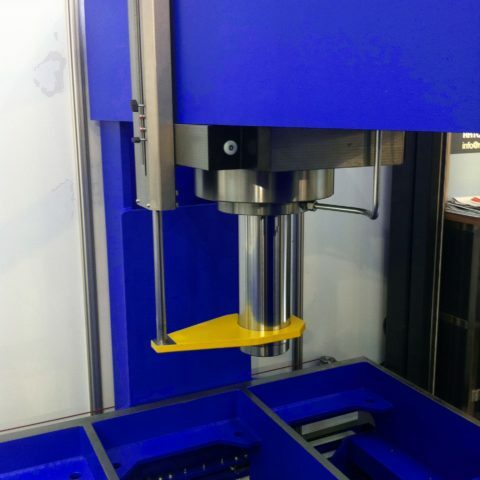 These hydraulic portal presses have a movable frame and a movable cylinder to easily access the different pressing and straightening points of the material. 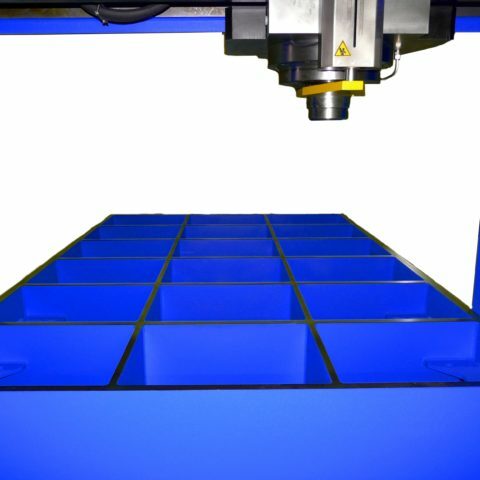 The longitudinal displacement of the frame is carried out by a frequency inverter and cogged belt to ensure precise slides. The lateral movement of the cylinder / headstock is motorized. 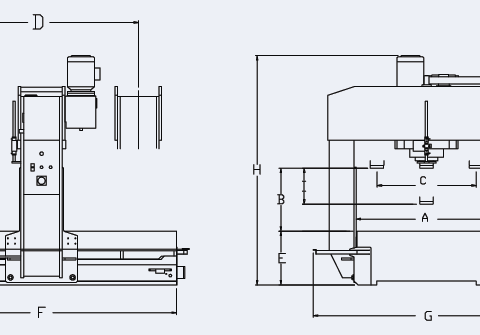 This portal press model has a motor power of 4 kW and a piston stroke of 450 mm. 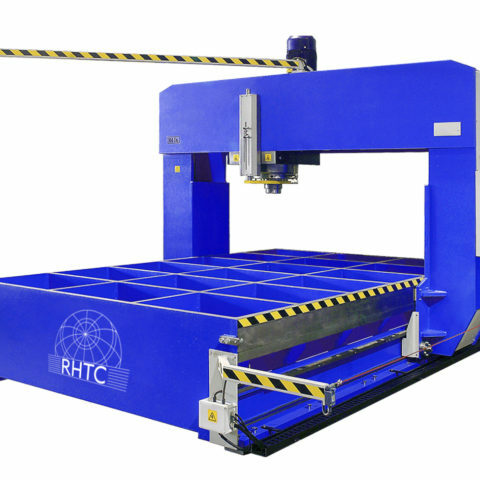 The large, lower table (1.550 x 3.000 mm) facilitates the loading and unloading of large volume parts and sheets. 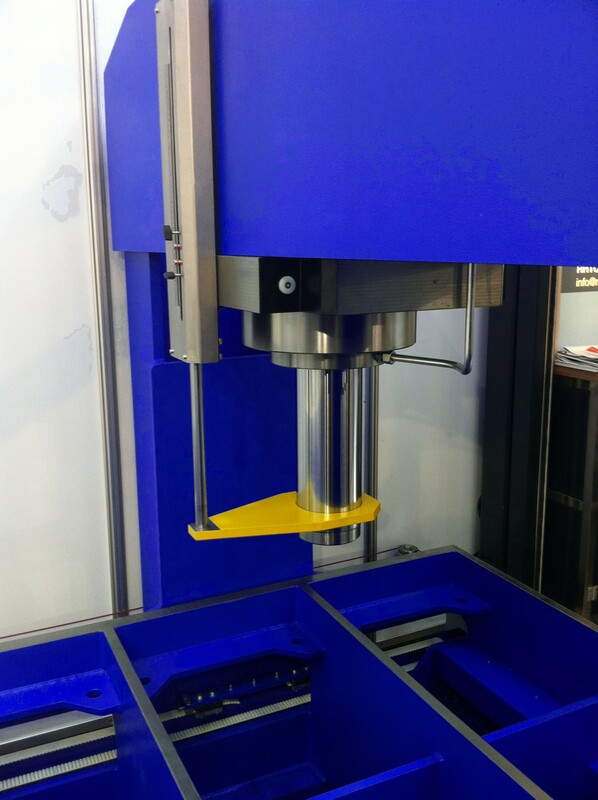 Operation of this 150 ton portal press is carried out by means of a pendant control station with an operation confirmation button and an emergency stop. 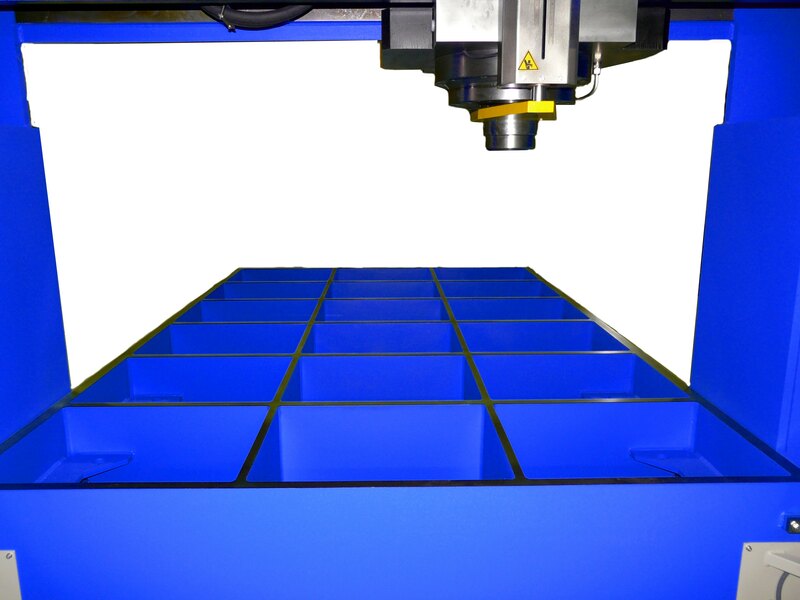 Flat press bed of 3.000 x 1.550 x 75 mm. 8 ejector cylinders installed in the press bed, power 2 tn each.